“Democratizing the Debates,” a report of the Annenberg Working Group on Presidential Campaign Debate Reform, was covered in legacy media such as the New York Times and the Washington Post as well as digital outlets including Buzzfeed, Politico, and Slate. Its proposals received support in editorials and columns in the Chicago Tribune, Washington Post and New York Times, among others, and more critical assessments on Bloomberg View and other outlets. The 16-member group, convened by Kathleen Hall Jamieson, director of the Annenberg Public Policy Center of the University of Pennsylvania, released its 48-page report in June 2015. 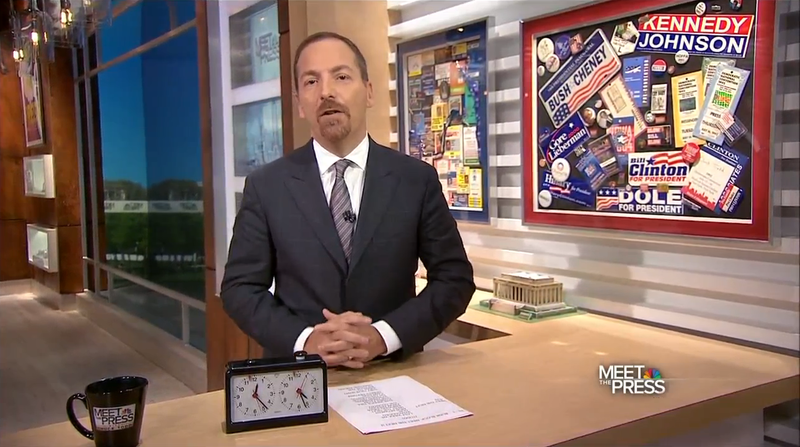 Chuck Todd on NBC’s “Meet the Press” (June 21, 2015), with a chess clock. A majority of the Annenberg group backed the idea of initially easing, and then gradually raising, the polling threshold needed for a candidate to qualify for entry in a debate. The majority suggested that the criteria should require 10 percent support in polls in the first debate, 15 percent in the second, and 25 percent in the third. Time to change prez debates (Philadelphia Daily News). Debates aren’t broken, so don’t fix them (Bloomberg View).